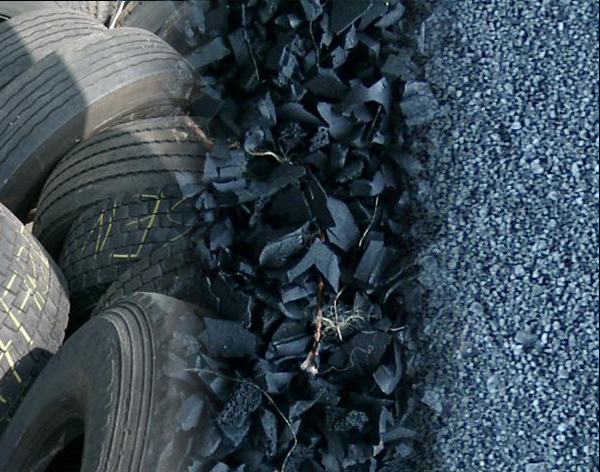 The material used to manufacture the rubber railroad tie is recycled crumb rubber (RCR) made by shredding end-of-life used tires. 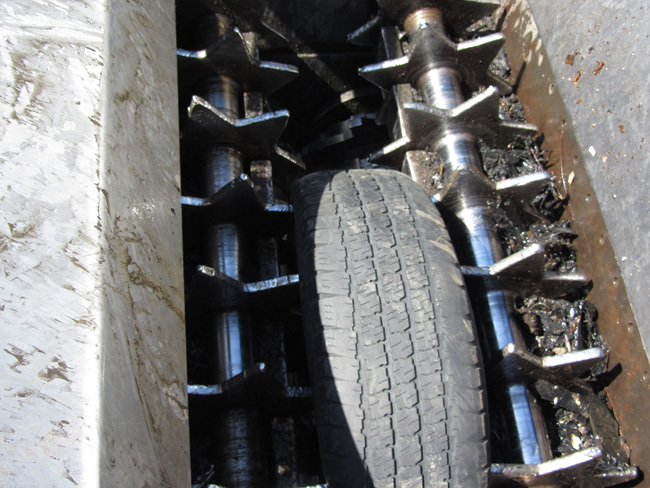 The tire shredding process also separates the steel, fiber and rubber components of the tires. 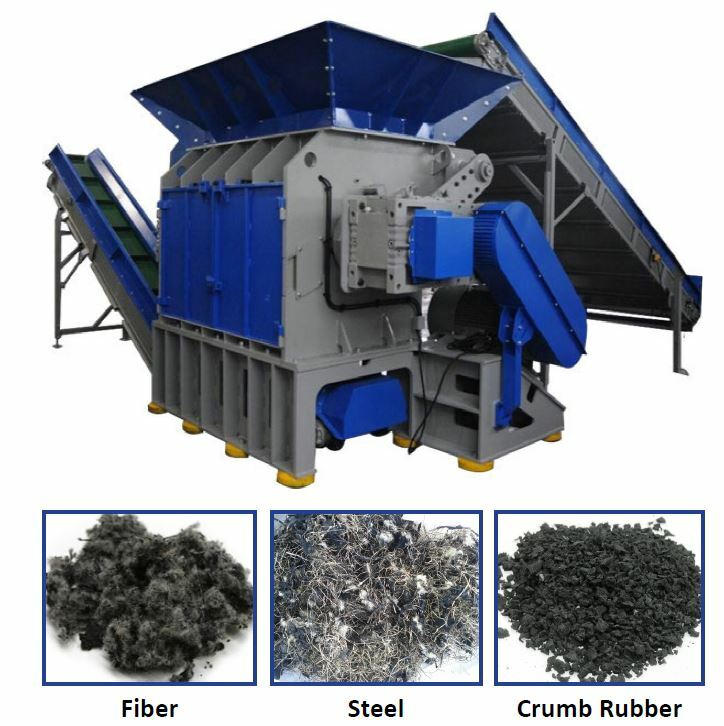 The fiber and steel is sold to recyclers. 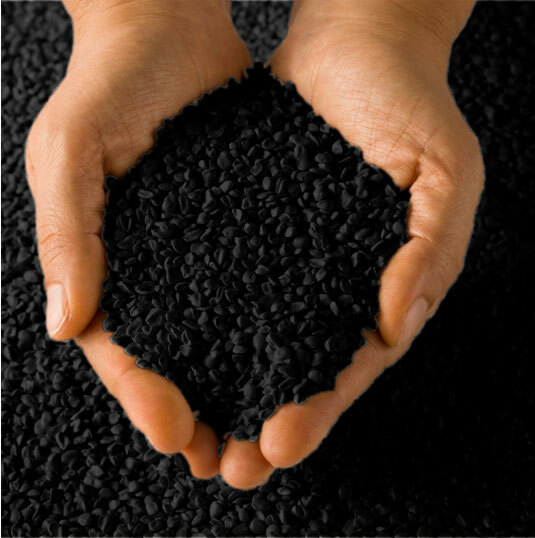 The final shredded RCR product can pass through a 20 mesh screen. The RCR is mixed with binders and bonders that will ensure the best possible homogenous outcome once placed in the heating process. Simply placing RCR in a mould and heating it will not produce the product necessary to pass the standards set forth by the rail industry. 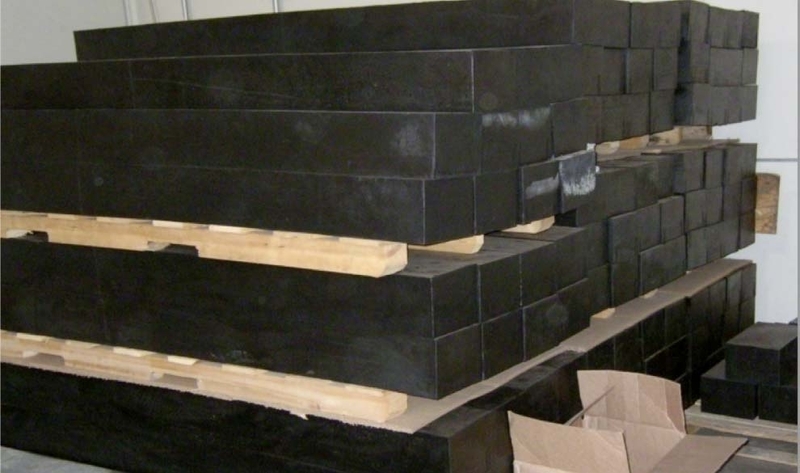 The Hansen All-Rubber Railroad tie is the same size and weight as an oak hard wood rail tie and has passed all lab tests required by the rail industry. Refer to Technical Specs for test results. 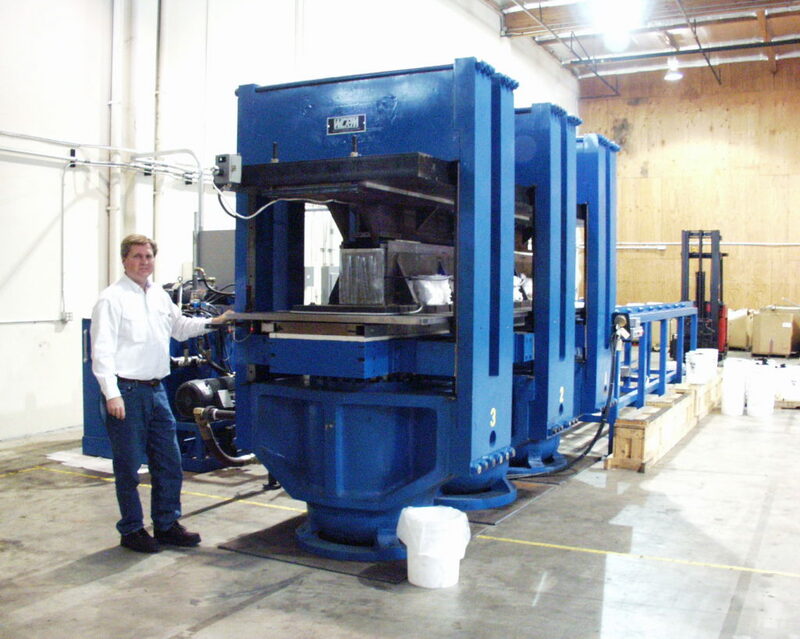 The mixture is placed into a heated mould that is inserted into a hydraulic press and compressed, held in place, cooled and removed from the mould awaiting the indentation process. The indentations into the ties are important in many installations to help prevent slippage in the rock bed thus allowing for faster freight times for new rail systems. Each rail line customer has their own methods of bundling and indentation requirements. When a tie order is received, the ties will be selected, indented and bundled accordingly, then shipped. Why Choose the Hansen All-Rubber Railroad Tie? © Hansen Industries Worldwide, Inc.